When Egypt announced plans to develop renewable power in 2014, investors piled in, drawn by year-round sunshine and chronic electricity shortages. Two years on, many projects have stalled, hitting confidence among foreign investors Egypt sorely needs. One such company is Italy's Enel Green Power, which prequalified in 2015 for one solar and two wind projects under Egypt's FiT schemes and entered a build-own-operate tender for a 250 megawatt wind project. "Continuous uncertainty from the local authority in managing the process as well as delays in assigning contracts, have lead EGP to freeze its business development operations in the country," an Enel spokeswoman said. A source from another consortium of foreign investors that prequalified for a solar FiT project said Egypt's insistence on domestic arbitration in any dispute had prompted a multilateral lender that was co-financing the project to withdraw. "I can't believe they would do this to foreign investors and big lenders when Egypt needs them," said the source. "The feed-in-tarrifs were high, but the whole thing has turned into an Egyptian soap opera. No one knows what's going on and they don't seem to care." Egypt's New and Renewable Energy Authority did not respond to Reuters requests for comment. Its chairman Salah El-Sobky was quoted in Al Shorouk newspaper this week as saying the Electricity Ministry was taking the developers' concerns into consideration but was not responsible for their funding. The International Finance Corporation, an arm of the World Bank, said last year Egypt's renewable energy projects could require $8 billion in capital investment over the next four years, a significant opportunity for investors and lenders. 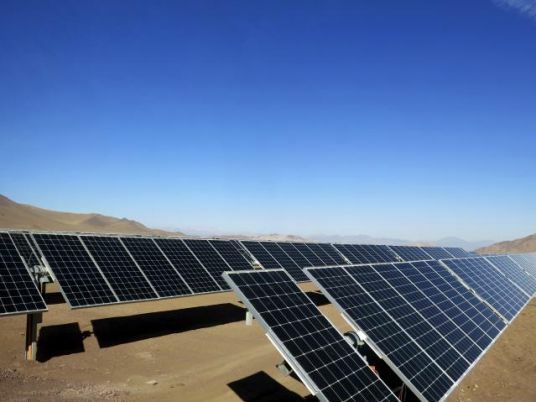 Government plans included a 1.8 gigawatt solar park in Benban, Upper Egypt, to be developed for US$3 billion and operated under a FiT arrangement. Developers said they were willing to accept currency risks as Egypt's FiT was higher than others in the region. A dispute over the seat of arbitration has proven harder to overcome. The IFC told Reuters it was "supportive of the government's agenda of promoting private-led renewable energy projects in Egypt" and would invest "next fiscal year". "This is still international arbitration as this is an independent body," he told Reuters. "When people prequalified this was the government position already. When the international financial institutions got involved it became an issue." The cost of solar components has plummeted since Egypt set its current tariff, which applies only if companies close a deal by October 28. Many look likely to miss the deadline. Industry experts say no more than 12 firms would go through. Some developers say they will not return but others, along with international lenders, are now looking to phase two.